This fall, we are launching sales at L’Avenue, a 50-storey mixed-use residential high-rise across from Centre Bell in downtown Montreal. The tallest tower in the city, this architecturally stunning condominium is by Broccolini Construction Inc., one of the City’s foremost industry families. L’Avenue is situated across from the Centre Bell, home of NHL games and exciting stage shows. The Winsor Station is conveniently located nearby at the corner of de la Montagne and St. Antoine. This area of Montreal literally pulses with excitement, with restaurants, bars, nightlife, shopping and hotels all within walking distance. The Metro system is also handy, with the city’s vast underground concourse network easily accessible. What a glorious address L’Avenue will offer sophisticated urbanites! 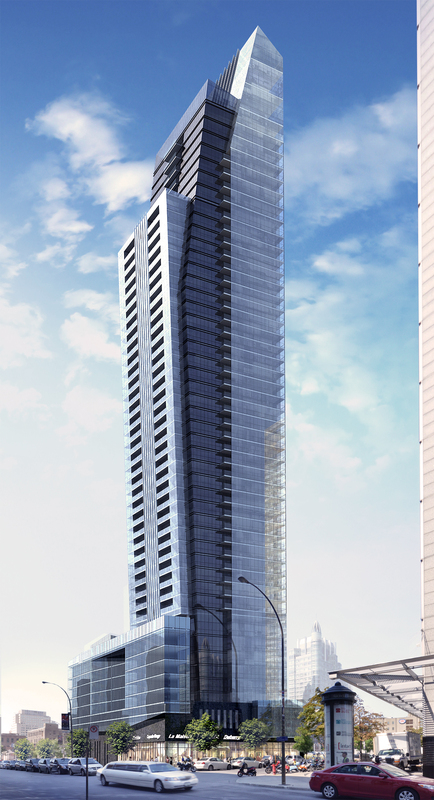 In the midst of Montreal’s European splendour, the new condominium will add cutting-edge styling to the skyline. Spectacular contemporary amenities will receive natural light from massive windows – especially on the soaring two-storey glass-enclosed amenity floor. Residents will have the use of cool contemporary amenities including a beautiful indoor/outdoor pool, outdoor cabanas, a lounge, party room and fitness centre – all appointed by the renowned Munge Leung. Prices for L’Avenue’s well-appointed suites begin from just $199,900 – incredible! For information, call 514-398-0123 or visit www.lavenuecondos.com.